Another bad day at the office of BlackBerry guys. But yet I am surprised to see their future plans. They are having some issues with T-Mobile US and now decided to end its partnership with them totally. Today the company announced that it has chosen not to renew T-Mobile's license to sell its products when it expires on April 25th, 2014. All of this drama was started by T-Mobile. T-Mobile encouraged BlackBerry-toting customers to switch to the iPhone. Obviously, that didn't sit well with BlackBerry, so the magenta network launched a promo for existing BB owners, giving them $200 to $250 if they're upgrading to another BlackBerry device. 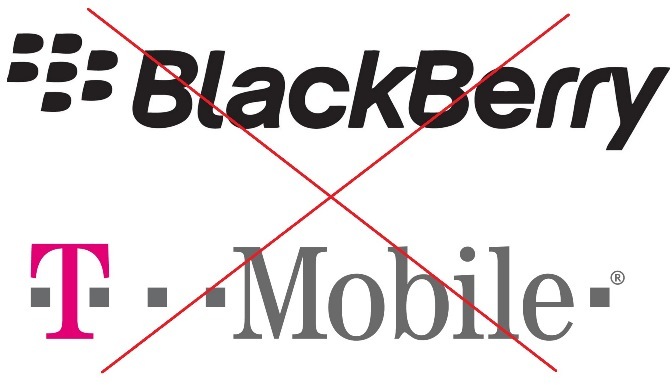 Meanwhile both BlackBerry and T-Mobile have agreed to support their existing customers. I wonder what will be the next step from BlackBerry guys. Is they going to ban US Defense Dept. too? And what about Oval office? They all started to using other than BlackBerry devices in recent months.